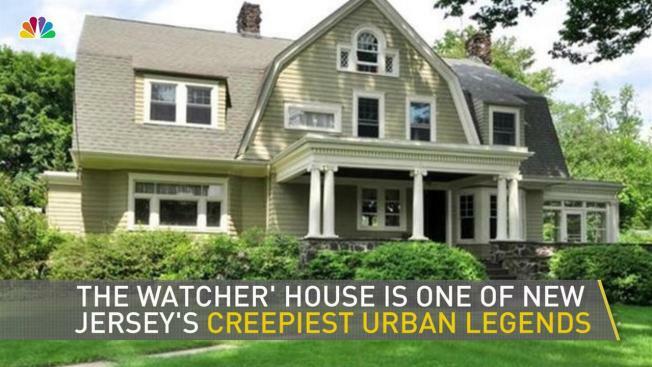 The story recently made the Thrillist's list of "Creepiest Urban Legends in Every State"
A New Jersey house whose current owners were scared off the property by a creepy letter writer known as "The Watcher" is up for sale again. Derek and Maria Broaddus bought the Westfield home in 2014, but they didn't move in after receiving the first of four letters from the anonymous stalker. The family tells NJ.com that the letter writer requested information about their children. The Broadduses say they can't live in the house because of the letters, which they say came from someone with a "mentally disturbed fixation" on the home. They say they received the last letter earlier this year. The family's attorneyLee Levitt said the letter contained specific threats and was "more derogatory and sinister than any of the previous letters." In one of the earlier correspondences, the stalker asked whether the new family brought him the "young blood" that he requested. Westfield police have previously said there's no suspect in the case. Just recently, the house was listed on a new report as the top urban legend in New Jersey.